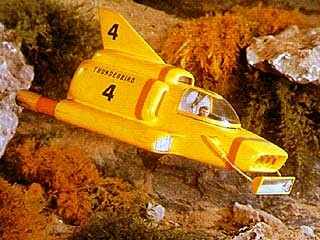 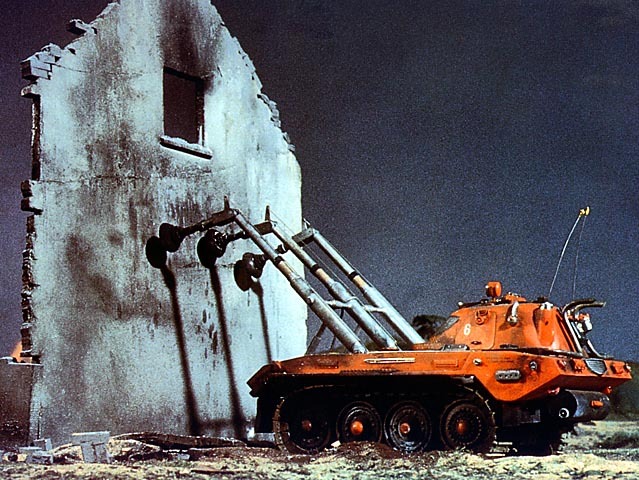 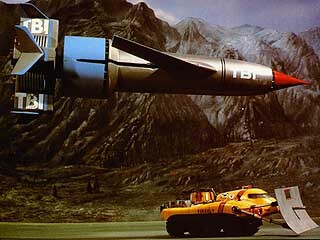 Seen here with advanced fire fighting vehicle Firefly, Thunderbird 1 is International Rescue's reconnaissance aircraft. 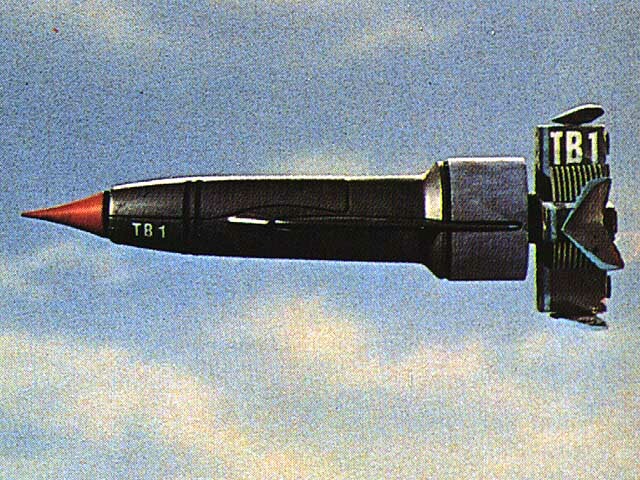 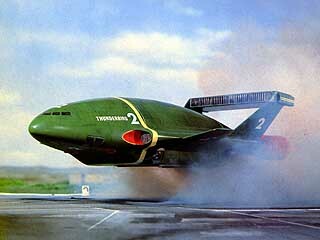 Pilot Virgil Tracy can select from a variety of "pods", allowing Thunderbird 2 to carry the equipment most suited to the type of emergency. 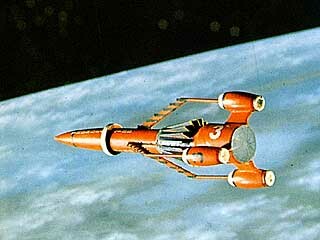 Orbiting space station Thunderbird 5 is the key to International Rescue's communications. 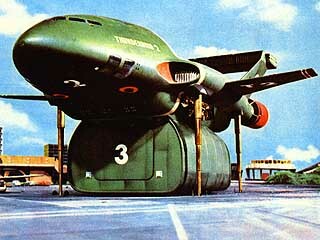 On board, John Tracy is often first to alert the island base of an impending disaster. Layout © 1997-1998 Paul Jasper. Last updated Tuesday April 23, 2002. 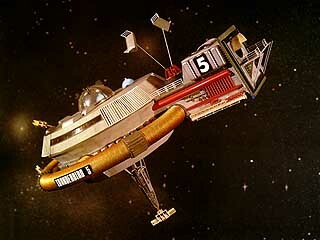 This is a non-commercial site maintained by a fan. All rights belong to ITC Entertainment Group Ltd.